It’s Friday! It’s been a crazy busy week with very little sleep in our house. I know teething is a breeze for some babies, but Sally’s not one of them, and she’s currently getting her molars. Yesterday morning we were all up at 5:00. Nooo. So while my New Year’s resolution of going to bed early isn’t going so hot, Johnny’s resolution of getting up early is going splendidly. Thanks, Sal! We decided to calculate the yearly totals for our discretionary spending because it’s not something we can really plan for on a month-to-month basis. That said, we know how much we’d like to spend in those areas for the entire year. So in our budgeting app on our phones, each discretionary category (vacations, gifts, etc.) has a yearly total. We then divide those totals by 12 and we’re given a set amount each month, which rolls over if it isn’t used. It’s similar to working at a job where your vacation time accrues throughout the year. The total for the year is X amount, and you can use it all in January if you’d like, but it won’t fully accrue until December. Make sense? Last year, we gave ourselves monthly personal spending ($25 each) and then had clothing as part of our Everything Else category. And then twice a year we’d have seasonal mini-shopping sprees for clothing with an agreed upon allowance for each of us. This year, we decided to each have one combined Personal & Clothing budget from which we can spend at any time throughout the year. It makes that spending feel a little less constrained, while also helping us plan all of it in advance. So that’s how we’ve planned out our 2014 moneys. This is the first year we’ve created an all-encompassing budget for the year, and we’re really excited! We’re easily excitable or just reallllly boring. By having the entire year planned out, I think we’ll be more motivated in the day-to-day and month-to-month since we know where we’d like to be at the finish line — December 31, 2014. How about you? 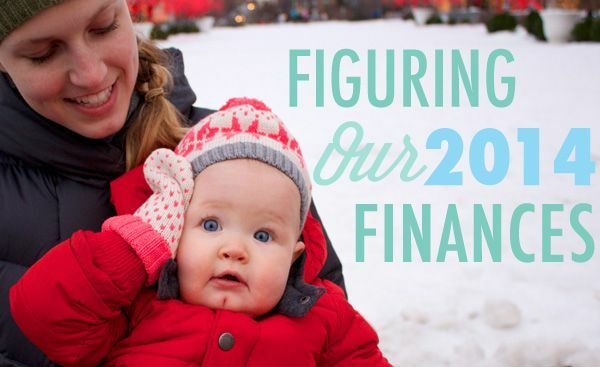 What are your budgeting plans for 2014? We love hearing how others do this budgeting thang! I would love to have a detailed budget planned out and have tried many times. I’m probably trying to be too organized with too many categories, but I eventually lose my motivation when I get backed up on categorizing transactions. 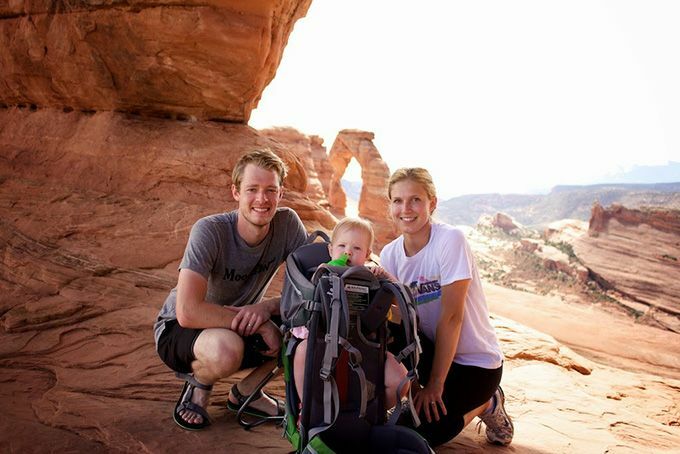 What I have found works best for my family is to follow a savings budget. As long as we are hitting our (aggressive) savings goals each month and have enough left over to pay the bills then I don’t really worry about where everything is going. Perhaps not ideal, but it is working for us for now. Someday I’d like to have the time to get more detailed with everything. When it comes down to it, meeting your savings goals is what’s most important. And it sounds like you’ve found the method that works for you to do just that! I wish Johnny and I were disciplined enough to meet our goals without detailing everything, but we end up going over budget anytime we try to just wing it. Admittedly, it’s usually because of me! Anyway, it sounds like you guys are doing a great job, so keep on keepin’ on! My husband works on commission, which is making it more difficult for us to budget because we never know how much he’ll be bringing home each month. We’ve tried to set a budget based on different scenarios, but it is still challenging for me to wrap my head around having a good solid budget plan. Any advice for people who have a fluctuating monthly income? Hey Courtney! We have a similar situation at our house. We do our budget month-to-month only. We have a discussion about goals we want to accomplish for the year (last year was to pay off debt and this year is to beef up savings) but we don’t have an annual budget. It’s not impossible to do with varied income, but it is very difficult. I like do what I refer to as a “worse-case scenario” budget. I take what I think the absolute lowest number his paycheck will be and work from there. That way, anything else is just icing on the cake. Everything above and beyond the minimum goes straight into our savings or we make adjustments week-to-week, since our paychecks fall on alternate weeks. Some people have what’s called a ‘hill and valley’ account. If your husband’s income can be EXTREMELY varied (like one month can be $0 and the next could be $4000), I would suggest having the hill and valley account be another checking account and not a savings (that way you aren’t subject to a certain number of withdrawals). From there, just have a prioritized list of what you’ll buy first in the month (obviously this would be mortgage, utilities, transportation and food- aka. the necessities) and then add the non-necessities toward the bottom of the list (eating out, gifts, fun money, etc.). Obviously this will be tailor-made for your specific household. 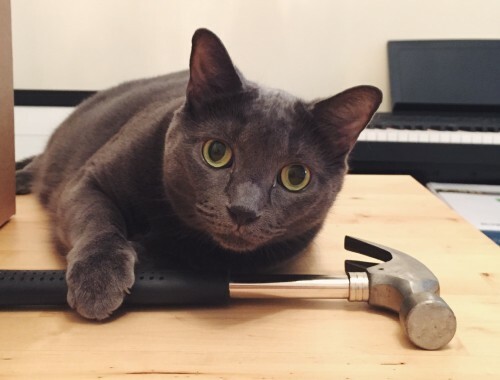 It can be frustrating to have a variable income but I think the key is to break up your budget into bite-sized chunks. I think it’s okay to have a week-to-week (aka paycheck-to-paycheck) plan as long as you are hitting overall goals. I agree with Miranda! Those are some great tips! Before losing my bigger pay check I had a yearly budget mapped out. Hopefully my hours will return soon and I won’t have to refigure too much. I hope you’re able to pick up more hours, Jennifer! And way to go on mapping it all out! Thank you. I just worked my first shift with my new client. The downside to working in home heath and usually with hospice patients is that the hours can be uncertain at times. The only thing that we really budget are our savings goals, and our personal spending. It works well for us…for awhile we tracked everything, but it was painful trying to separate out receipts (because a trip to Target would typically involve some groceries, some household items, some pet items, and maybe some clothes…), so we’ve shifted to this. Our personal “fun” budget is $70/month, and my friends all think that’s crazy-low. Yours is even stricter than ours, so I’ll tell my friends that I’m not the only crazy, should they ever suggest such a thing! Savings goals are what matter most, when it comes down to it, so I’m glad you guys have found a method that works for you! I approve of your fun budget 100% — don’t listen to a word your friends say! We started using a cash budget in 2014. It is annoying to go to the bank every two weeks but I’ve noticed I don’t waste as much money when I have a certain amount of cash and have to make it last. We are trying to pay off our 30 year mortgage in 5 years or less so working within the boundaries of cash and set limits will be really crucial for us this year. That’s awesome, Andee! Using cash is definitely the most surefire way to stay within budget. When it’s gone, it’s gone — unlike the ol’ plastic credit cards. And what a great goal! Best of luck! You have probably already said, but what budgeting app do you use on your phone? Hey, Jodi! We use HomeBudget with Sync because it automatically updates on both of our phones when we enter in transactions. And we prefer entering our stuff in manually because it makes us more conscious of our spending. we have a set-in-stone monthly budget that we use every month of the year. but this year, for the first time ever, we’ve set specific yearly savings and debt repayment goals. so instead of saying “we’ll save 10%” but then withdrawing from savings for something we forgot to budget for, we’re saying “by dec 31 we will have x amount in savings”. and instead of saying “try to pay off student loans as aggressively as possible” but then remembering we wanted to go out to eat somewhere fancy, we’re saying “we want to have this loan paid off by dec 31″. those year-end goals, divided by month, end up being a little more aggressive than would happen naturally; but this helps them seem more reachable, and puts my nail habit (what i spend my personal fun money on) into perspective. as always, thank you guys for sharing! That’s great, Taylor! Specific goals are the way to go. I feel so much more motivated when we have specific numbers we’re working toward, too. And I totally understand wanting to get your nails did! Every girl deserves to be pampered! 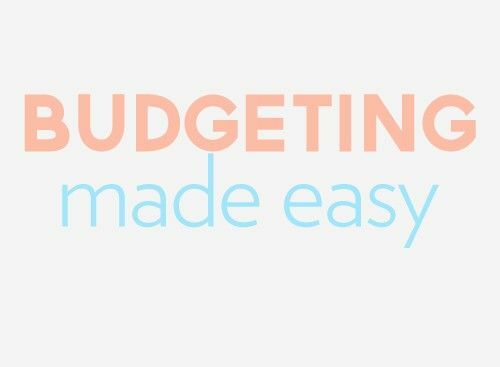 We’ve been using the You Need a Budget aka YNAB software to manage our budget for over a year now and its worked wonders for us.. We have the apps on our phones as well so we can easily check our accounts and enter receipts. That’s great to hear, Meg! We’ve heard a lot of good things about YNAB and have been thinking about giving it a try. Thanks for sharing! I like the idea of laying out a budget for the entire year as irregular expenses do take up a lot of our spending (and for which we have targeted savings accounts). This year isn’t a good one for us to start, though, as we will be changing jobs and moving – it’s impossible to see beyond the next few months so we have to stick to monthly budgeting. Yup, some years are just that way, Emily. Good luck with all the upcoming changes! We use basically the same monthly budget month to month and I track our expenditures against the categories using Goodbudget (www.goodbudget,com) which is great cause it’s free and has an app for your phone. I like how you plan out gift expenses in advance. We tend to buy gifts out of our own personal monthly blow money or our joint misc. 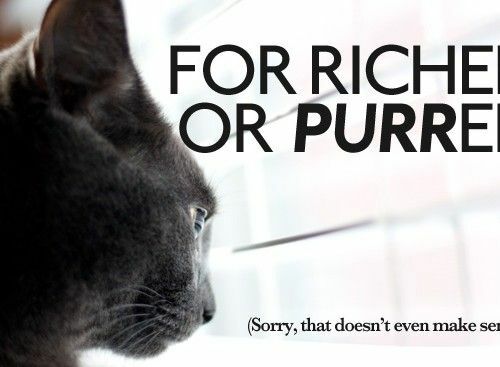 money (which also covers dr. bills, movies, pet food, etc). But unfortunately that means that I usually spend my misc money on gifts (why is it that the women are always the ones buying the gifts?!). So, maybe we should have better planning for this. We have a few weddings coming up that we will be attending and I would rather have a plan for those gifts rather than spending my blow money on it later. Yes! You should be spending your blow money on yourself, Alice! You deserve it. I’ll have to look into Goodbudget! It sounds like a great app. Gosh – that’s quite a system! I fear I’ve never been that organized. I just always try to make more and spend less. But I do have a question for you. Do you ever find that having those categories for things like clothing etc. causes you to do more discretionary spending than you otherwise might? That’s what always goes through my mind when people talk about their budgets. Perhaps my cheapskate nature is being revealed here, but I generally don’t budget for things like that because I know if I have money set aside for it I’ll probably spend it, otherwise my penny-pincher-personality kicks in and I revert back to “standard operating procedure” – meaning I won’t spend a dime unless I’m really, REALLY convinced that I either need it, or else it’s a “special treat” of some sort. Well, because we’ve budgeted that money, it’s okay for us to spend the full amount. We can spend that amount *and* meet our savings goals because it’s all in the budget! That’s the beauty of budgeting! I have set some pretty lofty goals for 2014. I want to pay off my remaining $10 000 in HELOC debt and save $10 000 and my net will be $38 000 this year. I am trying a no spend challenge for the first 3 months of the year to jump start the plan and I can count on a tax return of $1 000 for my goal too. That’s awesome, Jane! Way to go on setting great 2014 goals. And good luck on your no-spend challenge! Congrats! That’s quite an undertaking! Right now, I’m doing all of my tracking and budgeting on Mint, though it needs to be more specific and refined. The main expense on the chopping block is food and trying to reduce eating out so often. We use Mint, but we also use an app that forces us to manually enter our expenses, which helps keep us more mindful of our spending. And food is my number one financial weakness right now, too! There’s nothing else to do but eat during the winter! !